I'm here with another easy layout using the collection kit Baby to Bride by Graphic 45. I've done several layouts now and I still have plenty to play with from the kit, both papers, stickers and chipboard. 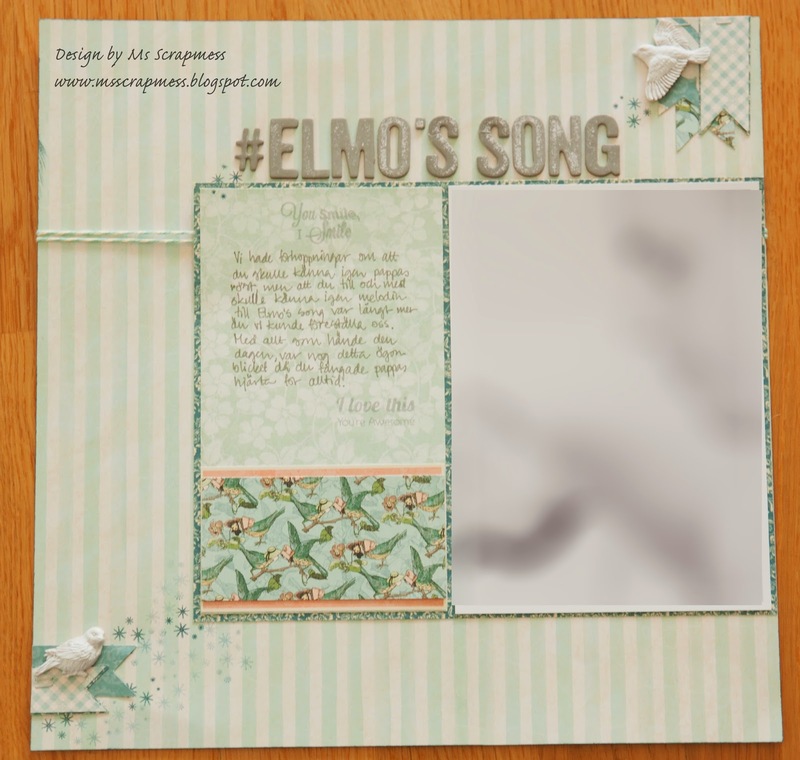 The thickers for the title is from my stash and the journaling is about how my newborn recognised his father's voice due to months of singing Elmo's song. A really love the subtle teal tones of this collection and I have to admit I'm on the verge of hoarding it. But one great effect of becoming stressed for craft time is that I don't have time to dwell over how to make the most of paper (I use to cut out large pieces that will be covered) - LOL!